Tank Solutions has expanded it’s manufacturing network to include Perth. We have acquired a local Perth based FRP manufacturer – GRP Technology Pty Ltd – and will manufacture Double Wall FRP tanks at their facility at Bibra Lake. This will enable Western Australian companies to access “industry preferred” double wall FRP fuel storage tanks at pricing which was previously prohibitive due to freight costs. This new local West Australian Company – GRP Tank Solutions – is staffed by West Australians and will service the fuel tank needs of Western Australia from Perth. The tanks will be made to the same exacting standards of the licensor – Xerxes/ZCL – to comply fully with UL requirements. June 15th saw the official launch of GRP Tank Solutions to representatives of all installation contractors of underground tanks and guests from MOC’s, site owners, developers and franchisors. 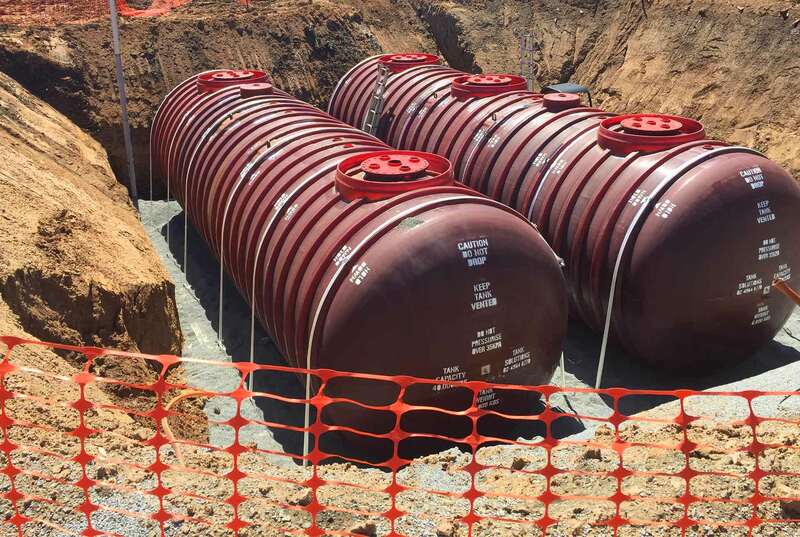 Doublewall Fiberglass underground tanks are specified world wide by companies such as Bp, Shell, Mobil-Exxon and 7-Eleven.. Please see our “Contacts” for details of our Western Australia office and staff.